Diwali , or the “Festival of Lights” is an Indian festival celebrating the triumph of good over evil, light over darkness. 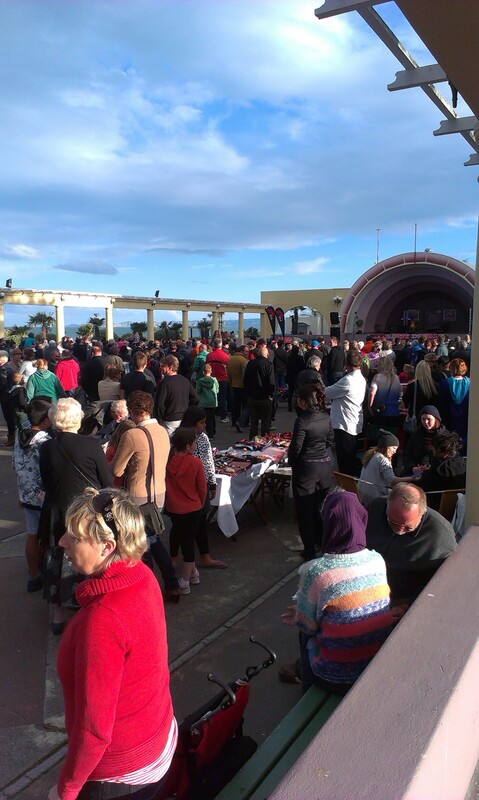 Hawke’s Bay’s Indian community has been celebrating it at Napier’s Sound Shell for several years now. 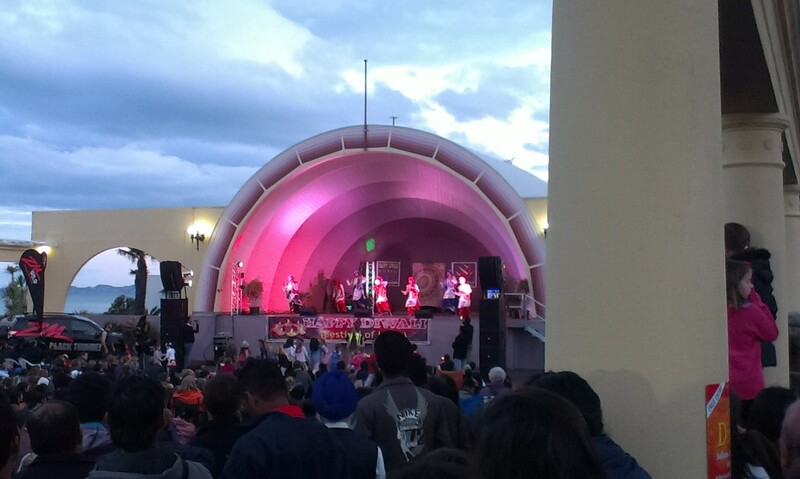 It’s a free event and has a great, friendly, family atmosphere that easily attracts hundreds and hundreds of people – young and old of all ethnicities each year. It’s the sort of event that Napier has been so sadly missing out on in recent years. There’s dancing, great music (so good, you’ll probably recognize riffs and beats that most main-stream rap musicians have flogged and hoped no-one (aside from maybe one billion Indians) would notice) and FOOD! Lots and lots of delicious samosas, satays and curries are served from a number of stalls. 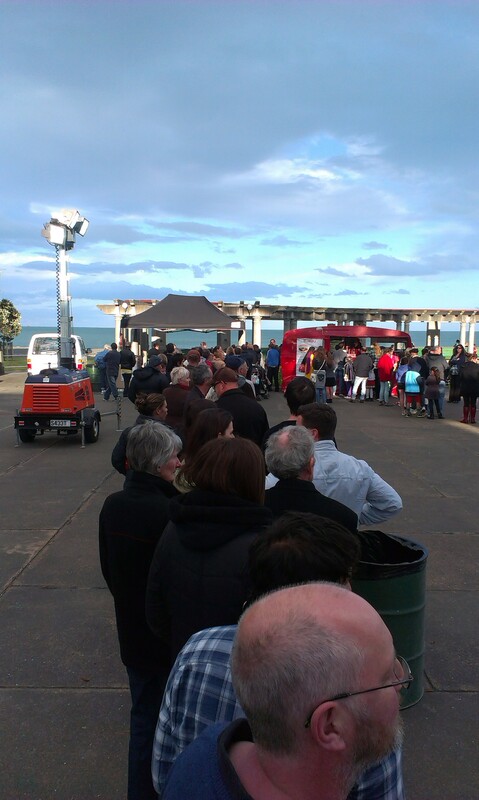 This year Napier’s Indigo Restaurant, had the consistently longest queue. 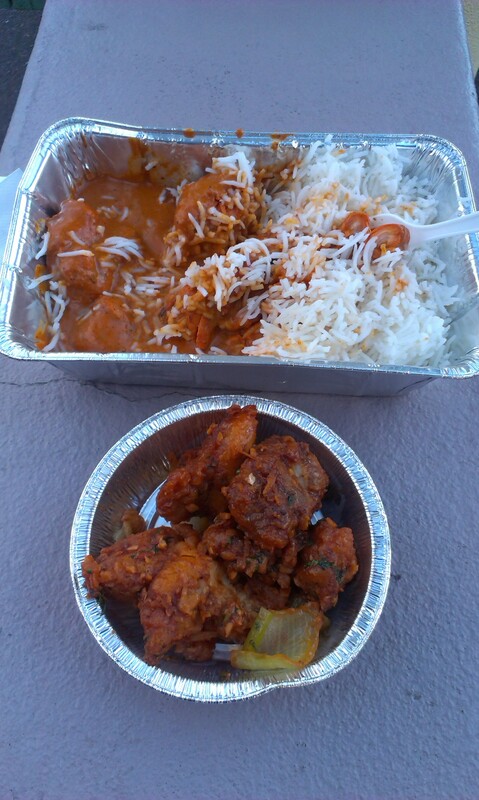 It took about half an hour to reach the business-end of dinner, but when you got there it was certainly worth it – $10 for a traditional Indian meal in such a great open-air environment with free entertainment! Try and beat that, “Great Long Lunch”! I happened to see Napier’s Inner City Marketing Manager at the event. I certainly hope she was taking notes, because NICM could learn a heck of a lot from a great family festival like this. 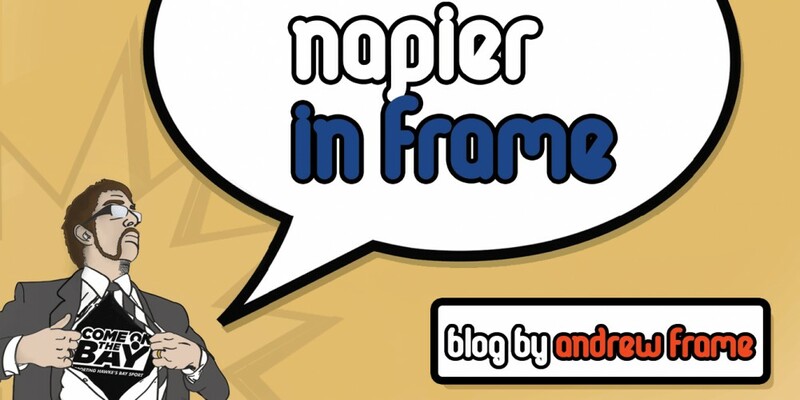 Napier needs and deserves a lot more like it! This entry was posted in Hawke's Bay, Opinion and tagged Food & Drink, Hawke's Bay, Napier, Opinion, Tourism, Youth by Andrew Frame. Bookmark the permalink.